United Yacht Sales New Jersey would love to guide you through a personal showing of this 223' Nobiskrug 2010. 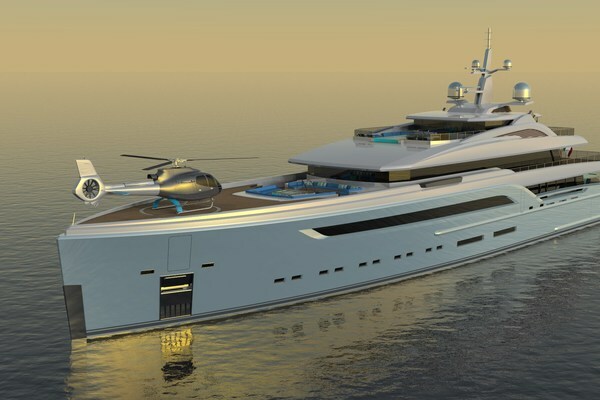 This yacht for sale is located in Cruising South of France France and priced at $59,500,000. For a showing please contact us by filling out the form on this page and we will get back to you shortly! Length Overall:223.50 feet (68.12 meters)Beam:41.00 feet (12.50 meters)Draft:12.14 feet ( 3.70 meters)Year Completed: 2010Type:Full Displacement Oceangoing MotoryachtFlag: Cayman IslandsTonnage:1,566 grossBuilder:Nobiskrug (Germany)Naval Architect: Nobiskrug (Germany)Exterior Design/Stylist: Craig Beal (Australia)Interior Designer: Craig Beal (Australia)Construction:Steel hull, aluminum superstructure, teak decksClassification: Lloyd’s, MCA CompliantMain Engines:(2) Caterpillar 3516B @1,999 Hp eachElectrical:440V/3 Phase/60 Hz(3) 250 kW Caterpillar C9 generators(1)110 kW Caterpillar 3056 emergency generatorSpeed:Maximum:16 knotsCruising: 14 knotsTankage:Fuel:50,542 US Gallons (191,300 liters)Water: 8,243 US Gallons ( 31,200 liters)Range:5,000 nautical miles @ 14.5 knots7,000 nautical miles @ 11 knotsAccommodations:Sleeps up to20 in the owner's party in up to8 staterooms, plus crew accommodations for up to19 in 9 cabins.